Renovating With A Cambridge Orangery. 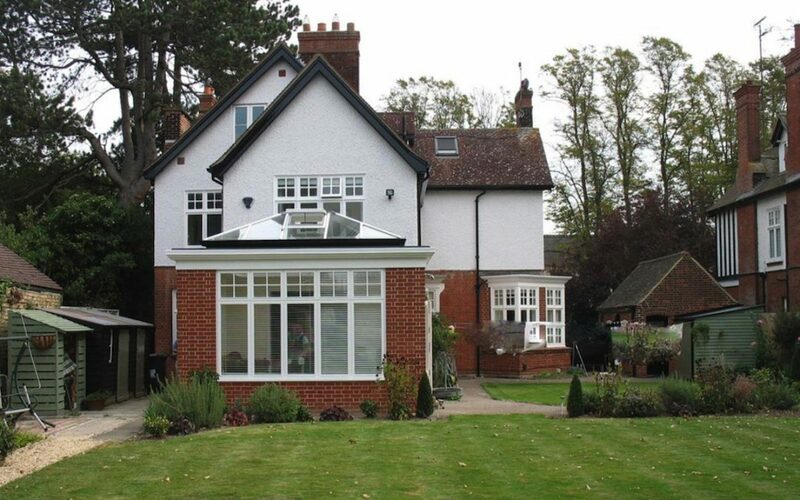 This impressive house in Cambridge has recently undergone a complete refurbishment. Every part of the original building has been restored, updated and improved. And it looks amazing. But like so many traditional homes, the living spaces, although spacious just didn’t deliver the casual light filled space the family wanted to enjoy. 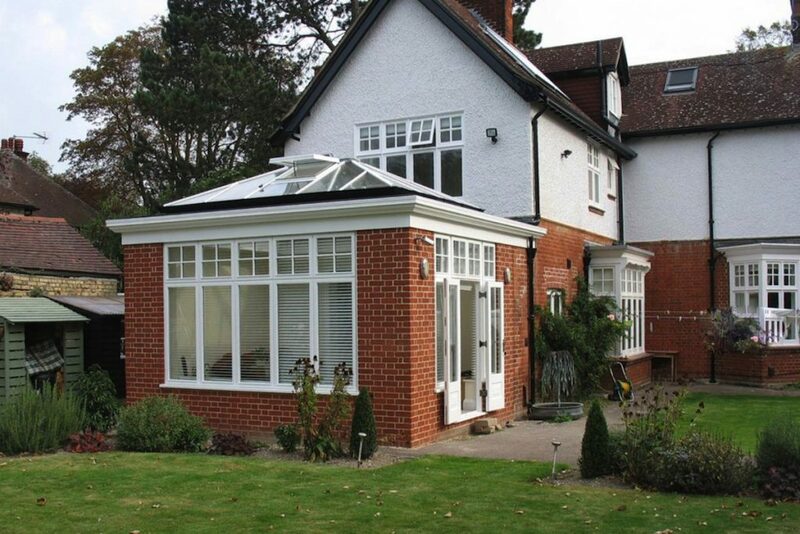 As a part of the extensive renovation, the owners decided to add an orangery extension to give them the perfect mix of traditional and contemporary living. As they had meticulously and lovingly planned every detail of the renovation of their home, they brought this same attention to detail to the design of their Cambridge Orangery with stunning results. Their input can be seen in the Flemish Bond brickwork that was chosen to match as closely as possible to the old brick of the home. It is obvious in their dedication to the detailing of the windows that mirrors the profile of the traditional windows in the main house. Every detail was important to this couple and we were happy to help them achieve this fantastic result of meticulous planning. Manufactured from Hardwood, this Cambridge Orangery is the epitome of quality. Roof windows provide ventilation. A wide front window offers views down the long garden. And French Doors allow the family to access the garden for casual cricket and barbecues with friends. From the inside, the room is light, bright and the perfect space for the family to relax. 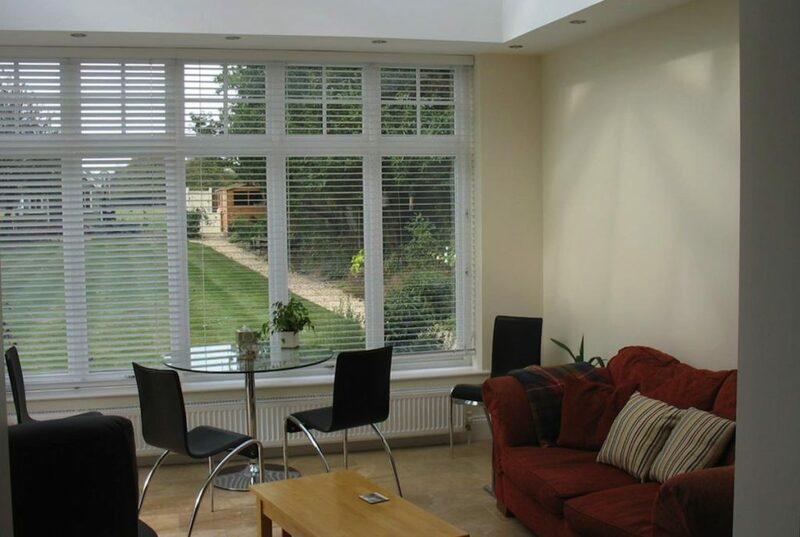 Furnished to reflect their desire for a contemporary space, this Cambridge Orangery really ticks all the boxes. Comfy sofas combine with modern leather and glass allowing the generous light from the orangery’s lantern roof to be reflected all around the room. The owners are thrilled with the orangery and enjoy the results of all their hard work in lovingly rejuvenating their gorgeous home. And we think this Cambridge Orangery is the icing on the cake!